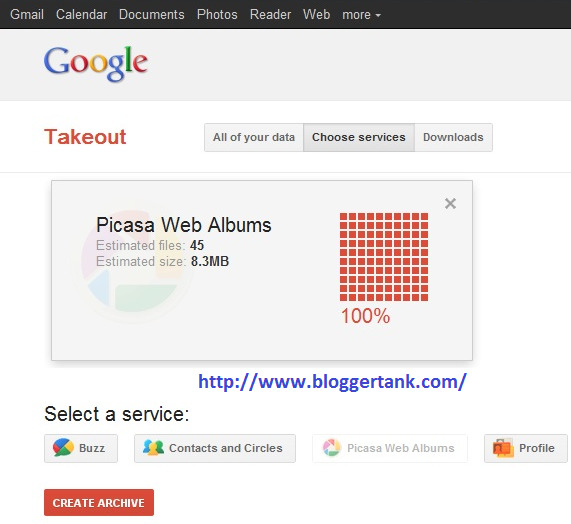 Now you can download your Picasa Web Album Photos From Google Plus Profile in the form of .Zip format. Users can download the whole album through several clicks. Here I show you those steps by which you can download the complete album from Google+. 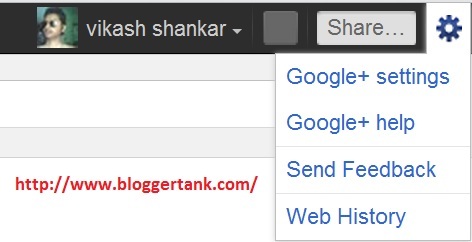 Login to your Google+ account & go to tools option as shown in the following screenshot. Then Click on "Google+ Settings" link. It will open Google+ settings page. 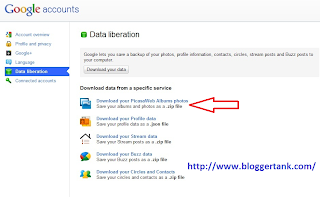 Go on Data Liberation Option in left side menu as shown in the following screenshot and then click on download your Picasa Web Albums Photos link. Now you redirected to the new page called "Google Data Takeout" and then you have to again login with your gmail id. Once you have done successful login, it will redirect you to data takeout page. Where you will find a button called Create Archive. Then, Click on that button to create archive of your photo albums. After creating the archive it will take you to downloads page where you will get the link to download your Picasa web albums photos. Click on download button to download your Photos and save it to your computer. It will download your data in .zip format with file name “your_email_id-backup.zip”. And now you can save that file in your hard drive as a backup of your picasa web album photos. Hope you learned the process of downloading your photos. Share this post in your Google+ Profile to tell your friends to download their picasa web album photos as backup.